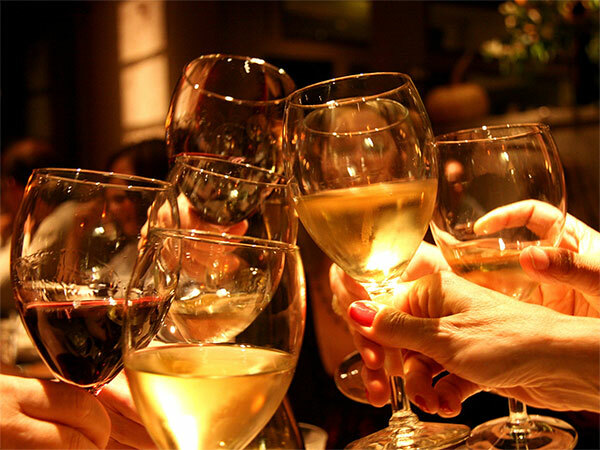 For many of us, the ability to go out with friends and socialise makes up a large part of our overall happiness, and often alcohol is one way we like to celebrate with our family and friends. But when it comes to weight loss and alcohol, I am frequently asked if it is still possible to lose weight. Clients will ask me, ‘what if I have a glass of wine every night with dinner or a few beers with mates on the weekend’, ‘will this undo all the hard work during the week?’. Yes, you can still achieve weight loss with the inclusion of alcohol. Here is why. There are 4 key macronutrients, the three we discuss frequently are protein, carbohydrate and fat, but alcohol is the 4th macronutrient, and all of these provide us with energy. Remembering that in order to lose body fat, we must first create a caloric deficit, and there are a number of ways to do this, either by manipulating your nutritional intakes or training volumes. First you need to be able to determine what calories you require in order to maintain your current weight and body composition. This is known as your maintenance calories, or your estimated energy requirements, and is often abbreviated as EER. 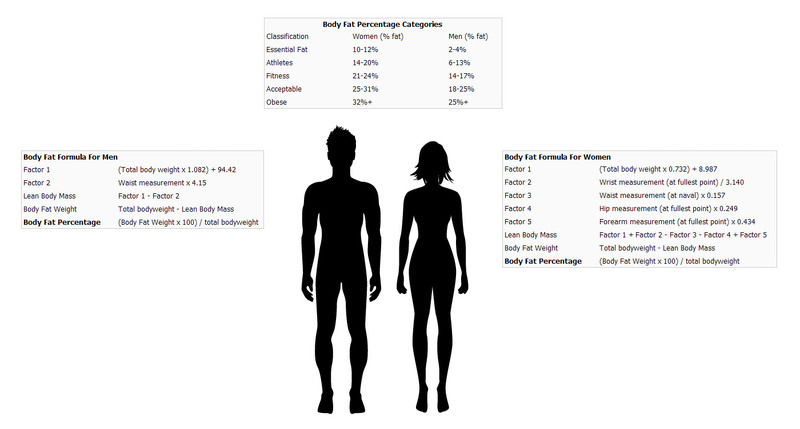 For fat loss to occur, your caloric intakes need to be set below your predicted EER. The second way we can create a caloric deficit is by increasing energy expenditure and being more active, and we know that if you are looking for a leaner more muscular appearance, then weight training is optimal. Running steady state or walking for 30 mins every day isn’t going to help you build muscle. Instead, this will help you to expend calories and help create a caloric deficit. Knowing your total calorie requirements is a key determinant for fat loss, however if we want to maintain a lean muscular physique, there are optimal amounts of protein, fats and carbohydrates we need to consume, to achieve this. Something else that is frequently overlooked is our daily micronutrient and dietary fibre intakes. By including a wide variety of fresh nutrient rich foods enables us to meet our micronutrient and fibre requirements. Typically, I like to use 2.0-2.5g of protein per kg of lean muscle. The remaining calories can come form either carbohydrate or fats, whichever is your preference. How can we include Alcohol? Protein and carbohydrates both contain ~4 calories or 16 kilojoules per gram, while fat contains almost double at 9 calories / 37 kilojoules. Alcohol sits in between with 7 calories or 29 kilojoules per gram consumed. Alcohol (ethanol) is metabolised by several processes or pathways. The most common of these pathways involves two hepatic enzymes, namely alcohol dehydrogenase (ADH), and aldehyde dehydrogenase (ALDH). Caucasians have two major liver isoforms of ADH and ALDH, cytosolic and mitochondrial, both isoforms assist in the breakdown and elimination of alcohol. ~50% of East Asians possess only one, the cytosolic isoform, which is why there is a higher frequency of alcohol intoxication amongst East Asians. Once consumed, alcohol is first oxidised to acetaldehyde, a toxic substance and known carcinogen. It is then further metabolised to a less active by product called acetic acid. Here it can be eliminated via the urine or used for energy production in the TCA cycle (1,2). How we factor in alcohol is actually very simple. Our bodies primary energy source is glucose. We also have a requirement for fats for specific functions within the body. However, even if we choose to consume zero carbohydrates, or if we are in a state of starvation, we are still able to produce glucose for essential tasks through a process known as gluconeogenesis, using other metabolites such as amino acids and by products of fatty acid metabolism. In extreme circumstances like starvation, our brain is also able to regulate using ketones as a fuel source. Knowing this information means we can substitute macronutrients, and the most obvious choice is carbohydrate, since there isn’t a need, unlike the need for protein or fat. Summary: Subtract ~32.5g of Carbohydrate from your set carbohydrate intakes to allow for your alcoholic beverage. By doing this you have now created the exact caloric deficit to allow for the alcoholic beverages energy content without impacting your daily protein needs for optimal physique. We can also substitute fat for alcohol, however, unlike glucose which can be synthesised by the body even without a carbohydrate consumption, there are a number of essential fatty acids that our body CANNOT produce, and these must be consumed from food sources. So my suggestion to this is, if your fat intakes are reasonably high, i.e. ~70g per day, it would be appropriate to substitute out some (not all) of your fats for alcohol. You can apply the same equation using the energy value of fats. Summary: Subtract ~14.5g of fat from your daily fat requirements to allow for your alcoholic beverage. By doing this you have now created the exact caloric deficit to allow for the alcoholic beverages energy content without impacting your daily protein needs for optimal physique. Ideally you would substitute both carbohydrate and fats, as this gives you more flexibility with your food choices. For example, if your daily fat intake was only 50g and you substituted in your alcoholic beverage entirely from fats, your food choices for that day would be highly restrictive in order to keep within your daily fat targets. Substituting from both macronutrients may mean you have to do a little more math, but for me personally, I will use a combination of both depending what macronutrients I have left. Using the same alcoholic drink (130 calories) using 50% calories from carbohydrates and 50% calories from fats. Summary: Subtract ~16g of Carbohydrate from your set carbohydrate intakes and 7.2g of fat from you set daily fat requirements to allow for your alcoholic beverage. By doing this you have now created the exact caloric deficit to allow for the alcoholic beverages energy content without impacting your daily protein needs for optimal physique. Research shows that alcohol when consumed in low to moderate amounts has no negative impact on body composition, when calories and protein are controlled for (3). Excessive intakes to the point of intoxication on the other hand, can negatively impact athletes. For most elite level athletes, training and competition is on a daily or weekly basis, so the ability to recover is crucial. The acute effects of alcohol are obvious to performance, we all know what it feels like after an evening of heavy drinking. 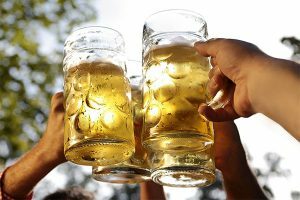 So not only will the next days performance be negatively impacted by alcohol, at a cellular level, alcohol interferes with the adaptive and anabolic response resulting from weight training due to its blunting effect on muscle protein synthesis and MTOR signalling. If you choose to include alcohol while trying to lose body fat, it is important not to sacrifice your protein requirements or exceed your daily caloric intakes that will keep you in a deficit. I personally feel that the inclusion of alcohol in moderation, is appropriate for building a lean muscular physique, if the above considerations can be adhered to. 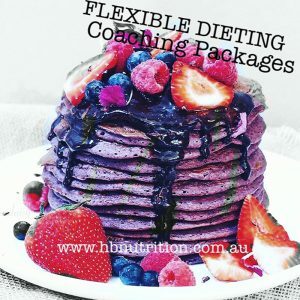 For more information about this topic or if you want to learn more about other relevant nutrition and training topics, please visit my website www.hbnutrition.com.au. If you are interested in receiving one on one nutrition coaching, please see my packages page. Weststrate, JA et al 1990, Alcohol and its acute effects on resting metabolic rate and diet-induced thermogenesis. Br J Nutr. Sep;64(2):413-25.